Jackie Fo: Fabulousness: FALL EDITION! With the temperature finally dropping here in the South, I am finally starting to feel like it's fall! 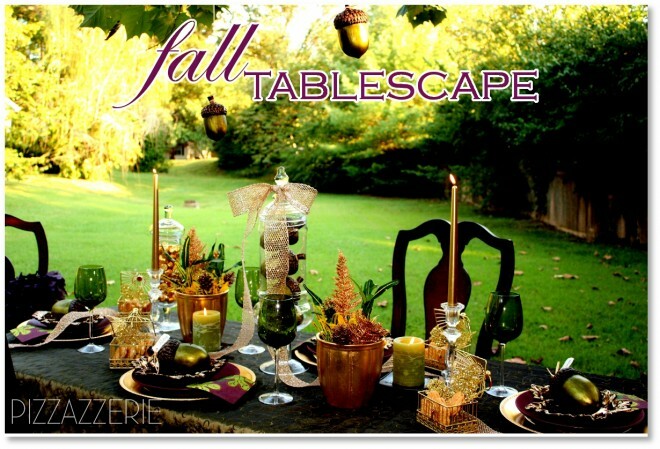 To celebrate my favorite season, I decided to do a Fabulousness around the Web: Fall Edition! Check out Fabulousness from around the web editions 1, 2 and 3! Please check out these tablescape from the fantastic Pizzazerie entertaining blog. 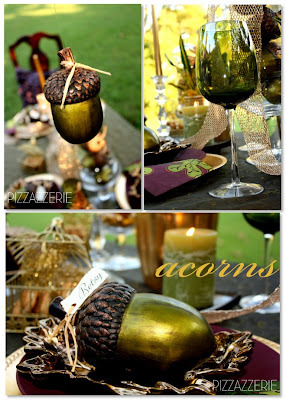 I love the acorns as well as the green and brown color combination. I wish I was sitting at this table right NOW! See the whole drool worthy post HERE. 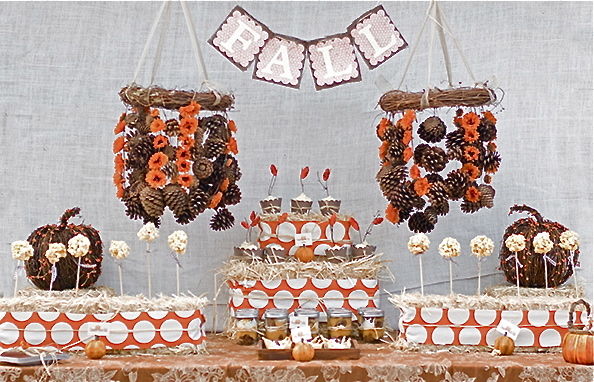 For the next touch of fall fabulousness, Katie Grace Designs created an AMAZING dessert table! I love the use of hay, orange and white polka dots and the ridiculously creative pine cone chandeliers! Who would ever think of that?! See the full post HERE. And the popcorn balls on a stick... adorable! 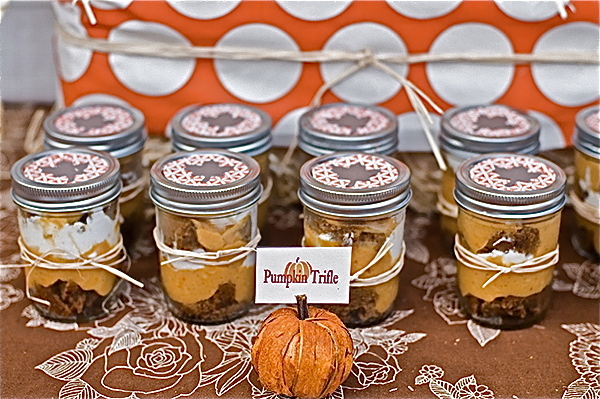 This next fab idea is a healthy breakfast recipe using pumpkin. Pumpkin is a fall staple and it's actually really good for you! 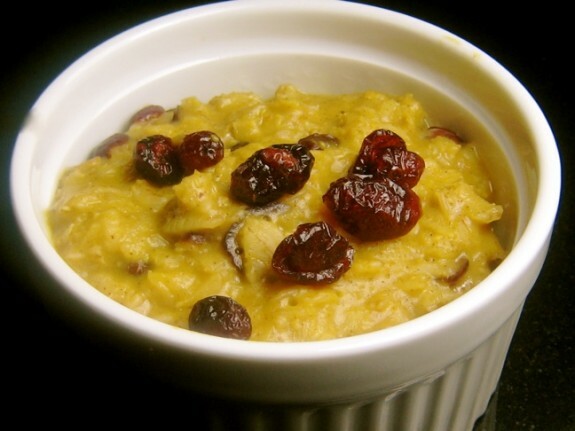 This is a crock pot pumpkin oatmeal recipe! How delicious does this look? You can find the recipe at Laloosh HERE. Here's an age old question...why buy orange pumpkins when you can buy elegant white pumpkins? They shouldn't be hard to find; there are about a thousand for sale outside my local grocery store. 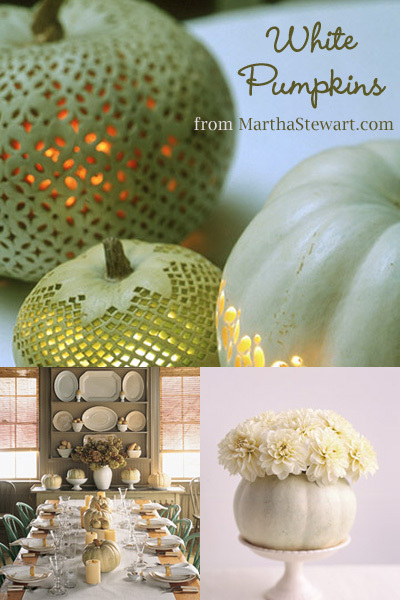 Look at the below compilation of pictures from Martha Stewart via Oh Baby Shower Decor, one of my favorite blogs! I especially love the white pumpkin flower vase... See the post HERE. Next up, more creativity with pumpkins... makes me think I should have done a separate pumpkin post! 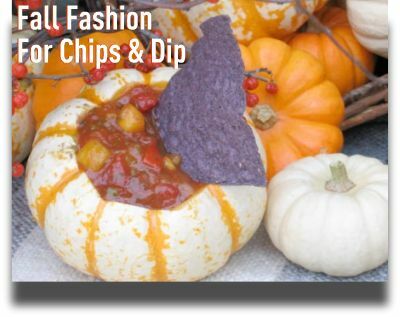 Need a fall themed chip and dip bowl? Use a pumpkin, gourd or squash! See the post HERE! I am totally in love with that chandelier of pine cones and flowers too. Ah--a dip bowl! That's what I could do with a small pumpkin. I'm always tempted to buy tons of those little things and then find myself stumped over what to do with them. I'm kind of tossing around the idea in my head to host a "spooky supper" a few nights before Halloween, and I love the red/black details of the party you threw a few weeks ago. Thanks for the inspiration! 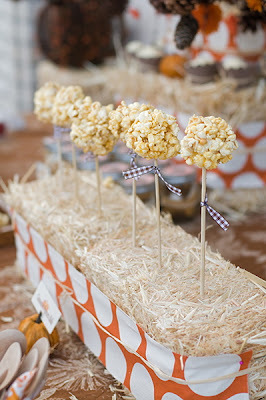 I totally want to try to make those popcorn ball sticks! Thanks for the feature! Love it and thanks for the sweet words!